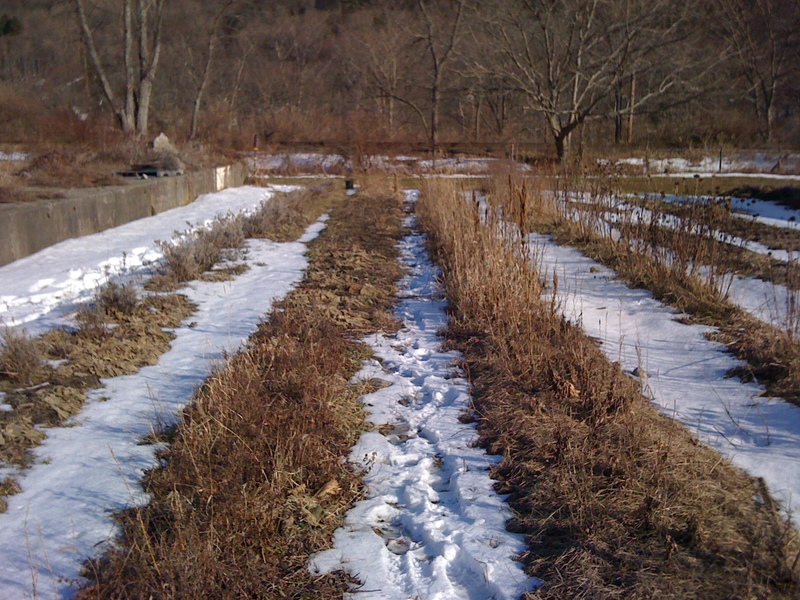 Walking out to the farm the other day, I wanted to take a picture of the herb garden in the snow. This quiet time at the farm represents all of the possibilities soon to come! A few of the medicinal herbs already in the ground waiting for spring are: bee balm (one of my favorites), mint, lavender, echinacea, astragalus . . . a few that we will be replanting this season are: chamomile, spilanthes, lemon balm (another one of my favorites for tea). Can’t wait for February, for starting seeds in the greenhouse, for our garden growing again. This entry was posted on January 7, 2011 at 3:57 pm and is filed under Brooklyn Farmer. You can follow any responses to this entry through the RSS 2.0 feed. You can leave a response, or trackback from your own site.